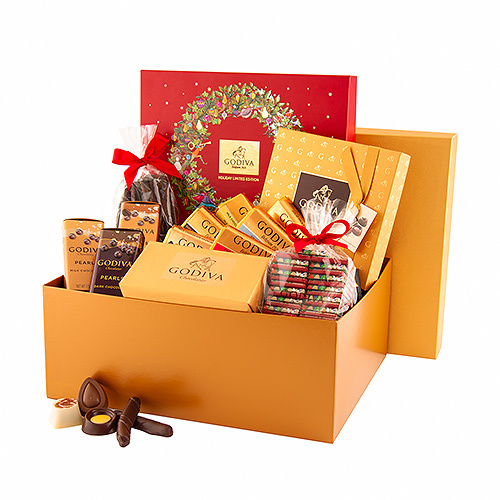 This gold colored gift box is a real treasure chest, richly filled with heavenly treats in luxurious packaging: endless delight! 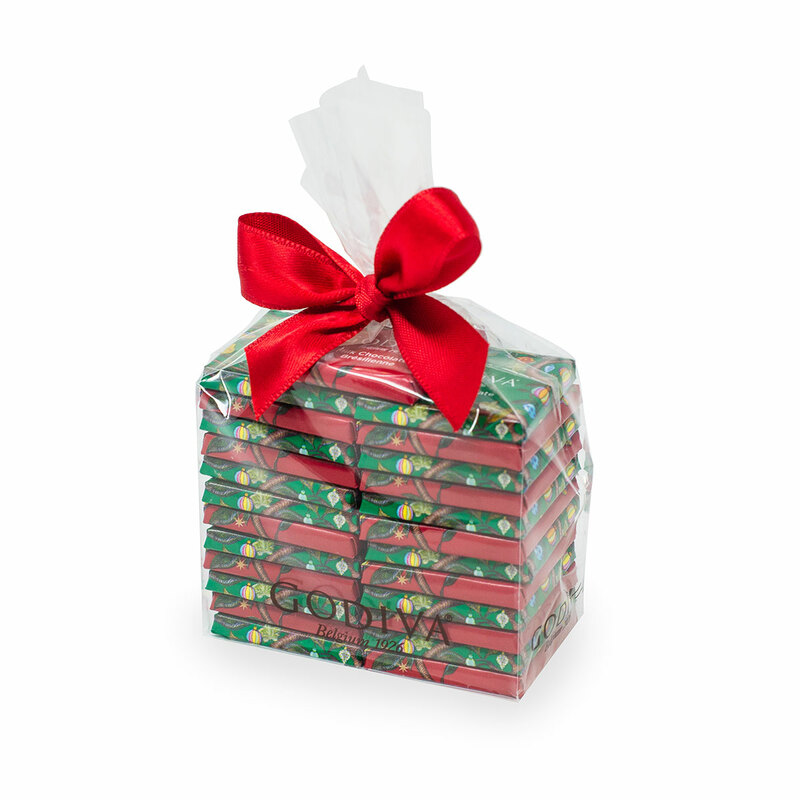 This stylish gift box is an extraordinary treat for family, friends, and business associates. Each truffle in the Godiva Signature gift box is handmade and consists of a soft creamy interior covered with crunchy chocolate and finished with refined toppings. 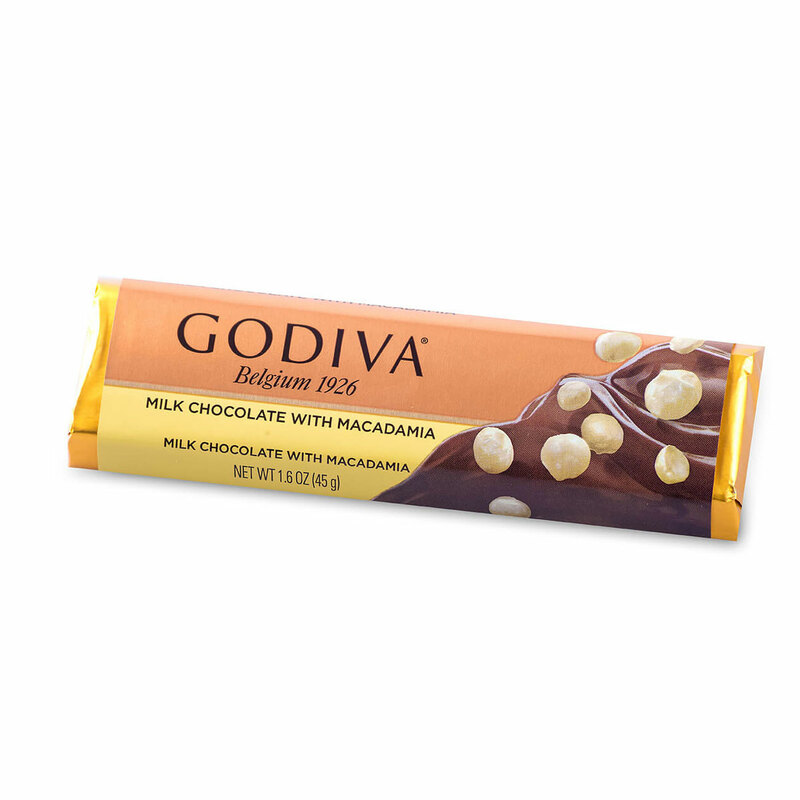 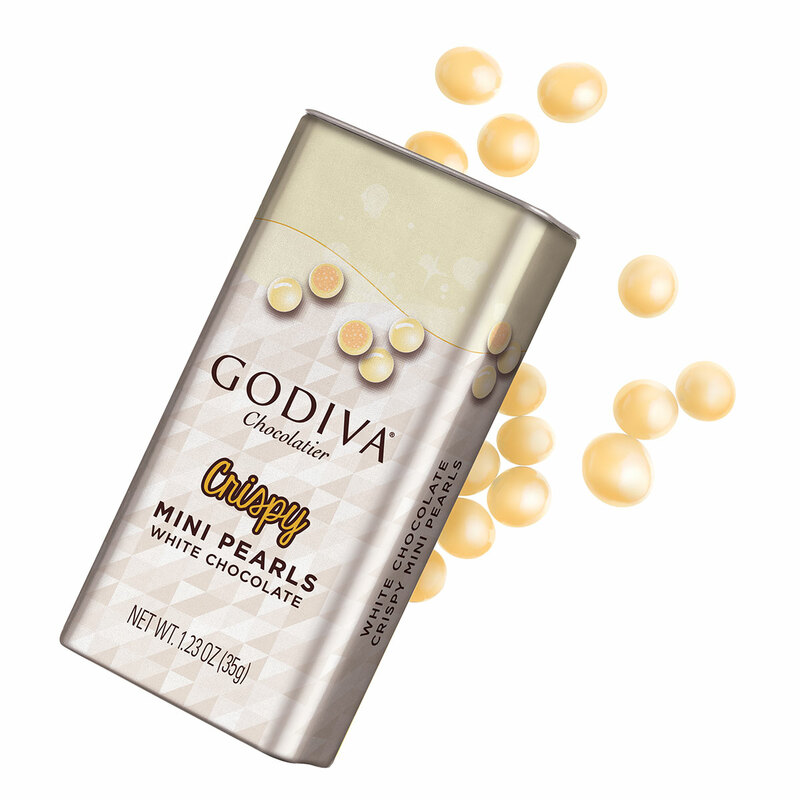 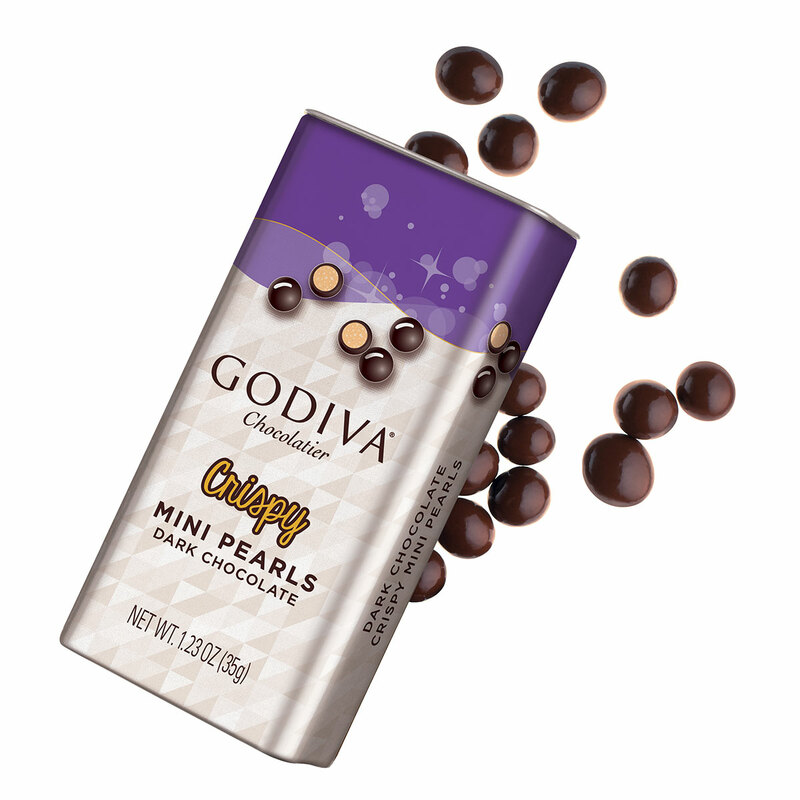 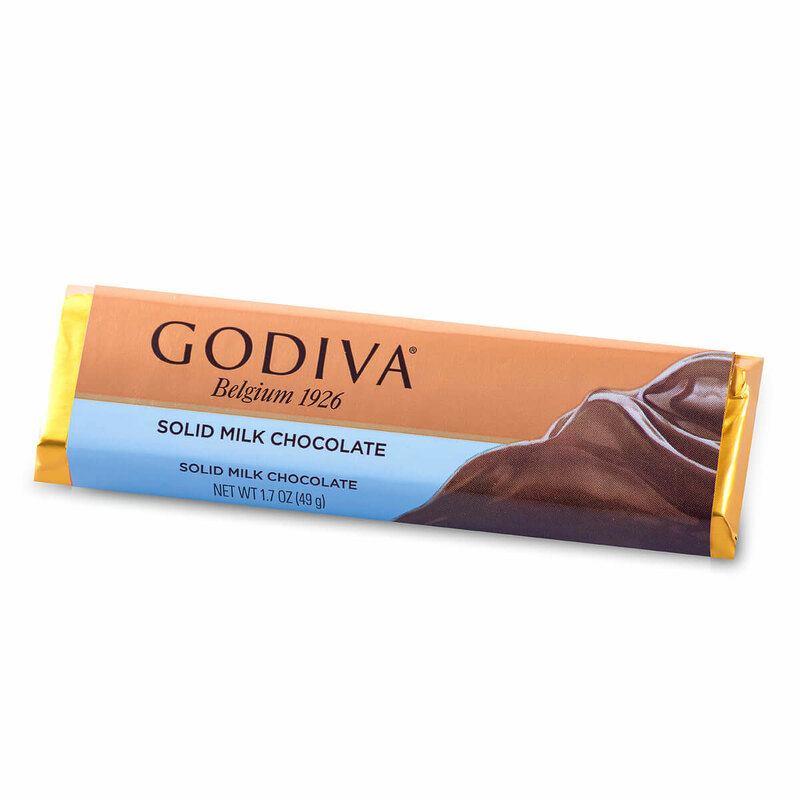 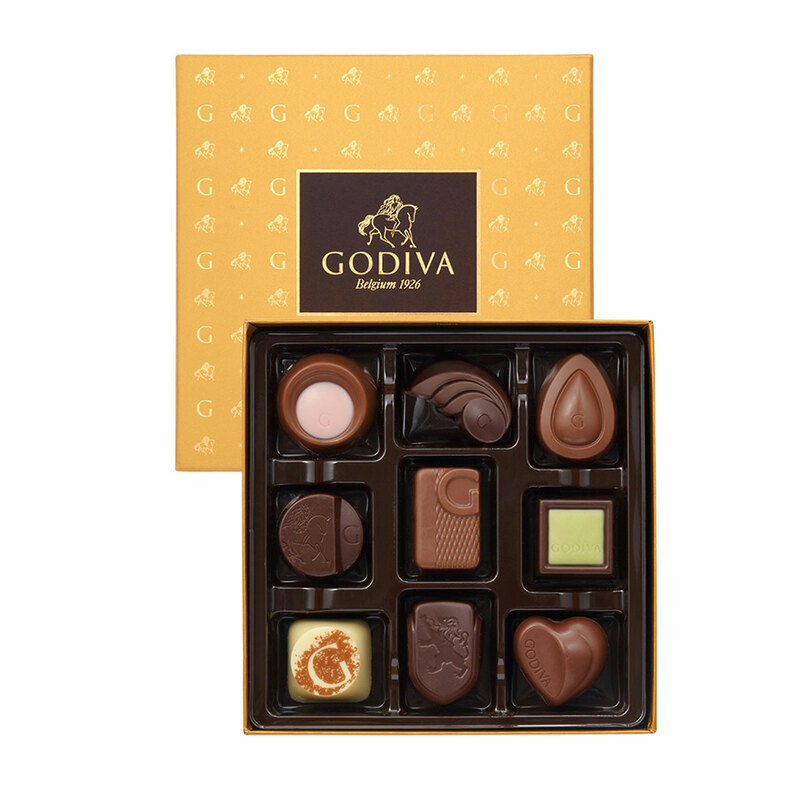 The Gold Discovery Collection and the hand-filled Gold Ballotin contain a careful selection of Godiva's top favorites in milk, white and dark chocolate with tempting fillings. 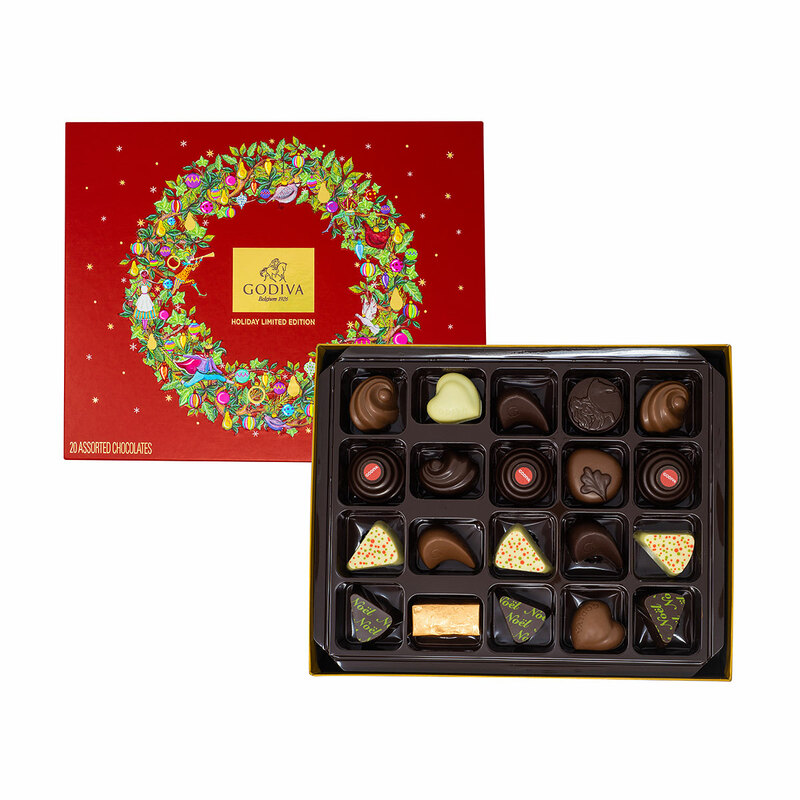 This high end Christmas gift is filled to the brim with delicious chocolate treats, including chocolate squares in festive Christmas packaging, chocolate pearls, chocolate bars, and Orangettes. 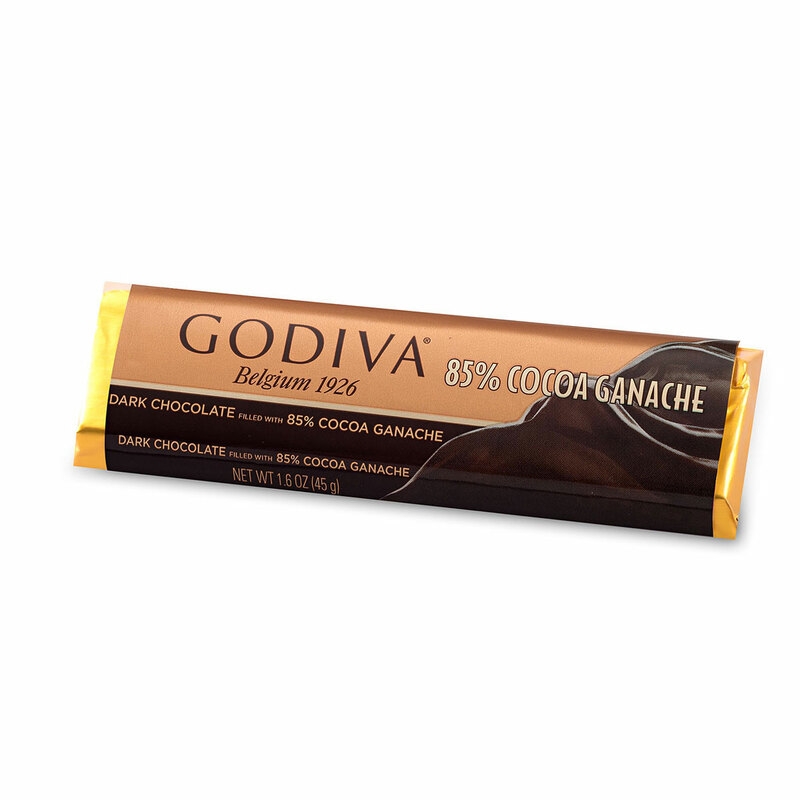 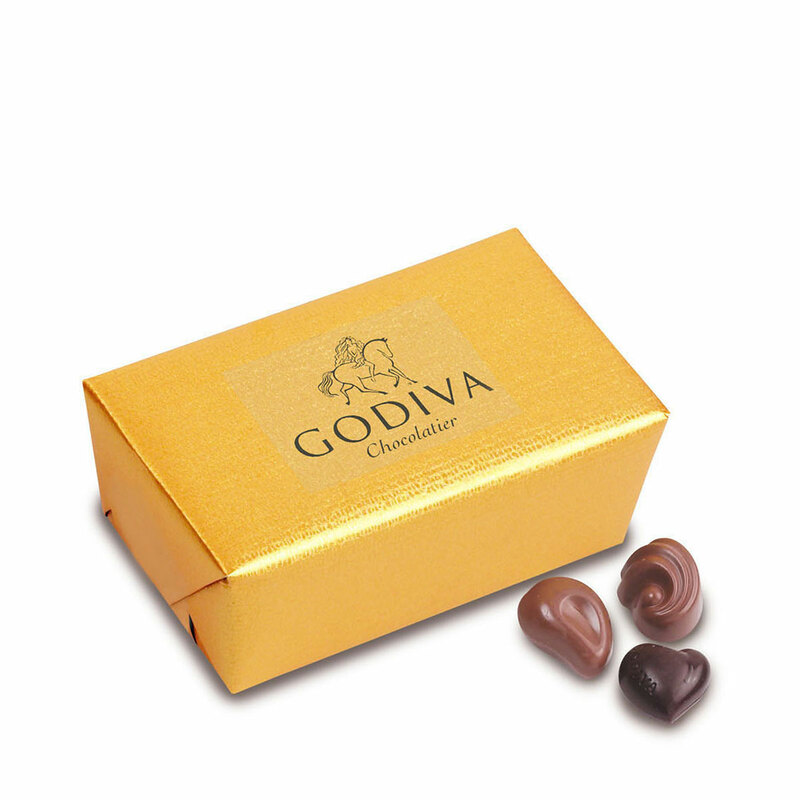 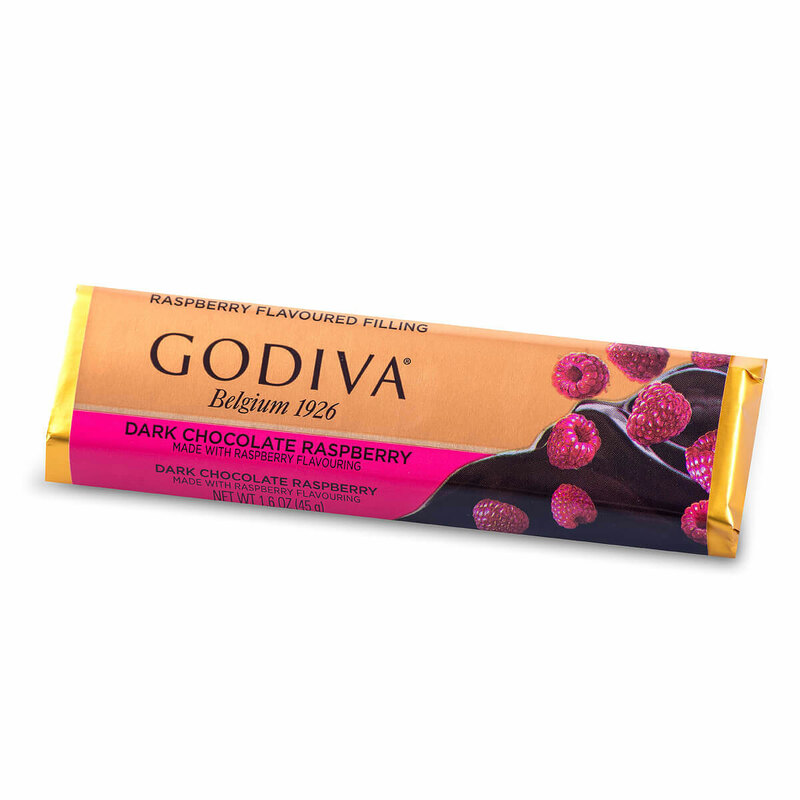 There is plenty to share in this extraordinary Godiva holiday gift.